Step-by-step visual guide for 3D printing for everyone. Further developing my passion for and introducing the process of 3D printing to the world (It is the next generation of consumer products) I thought this was a great way to illustrate the process for both the public and the engineers involved in using it – consider it a visual guide to 3d printing. Over the next few weeks I will introduce a very simple keyring made using 3D printing to the David-Louis collection, this item has now been tried and tested and is ready for delivery to market. Thanks to ArvidJense for the great work producing the flow chart! 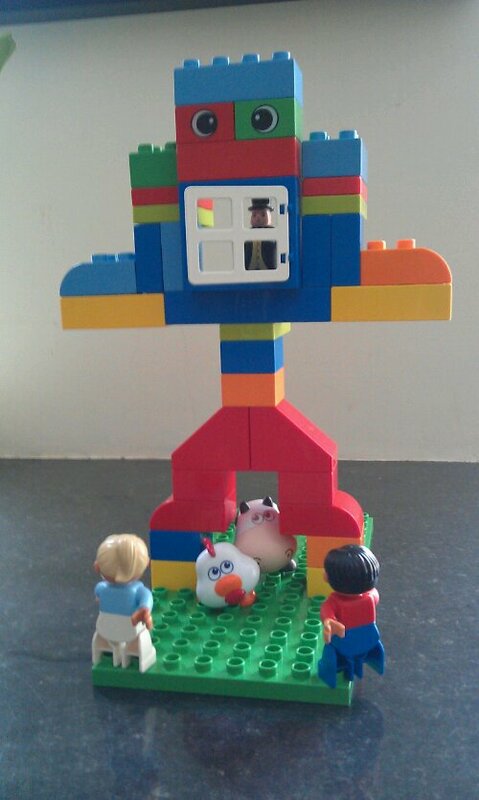 There are many things that make me a happy man, being a husband, a father, being a designer & business owner, the original Wickerman is my favorite film plus I love Lego Starwars.. hence this morning I was playing with my son & as the Lego wickerman began to take shape I got really into it, setting up a photoshoot as the wee man was told to go & play with his trains… Well I asked myself what sort of Daddy am I? .. A happy one? This week I have been experimenting with developing apps for our businesses, here is our first android app for the David-Louis Designer Gents Gifts website, I hope you enjoy it. Check out David-Louis Cool Giftware on the Android Market! David-Louis Capturing Imagination – future product design. 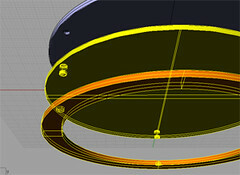 Here at David-Louis.com we are introducing the next generation of two way consumer product design….. Modify the shape and appearence…. Decide via our web site the colouring of the products…. You will be able to cut lettering into the surface of each product you order……. adding these features will create a product that is unique to you or the person you are buying it for. Over the coming weeks and months we will put our ideas online – product ideas you can adjust and bend to your whim – you will enjoy creating the design and love the product even more when you recieve it. If you are interested in this type of product please do one of the following, leave a comment here or join our mailing list. We will keep you updated on our progress and will create a unique two way design process of the future. David-Louis Chop Sticks in sterling silver. 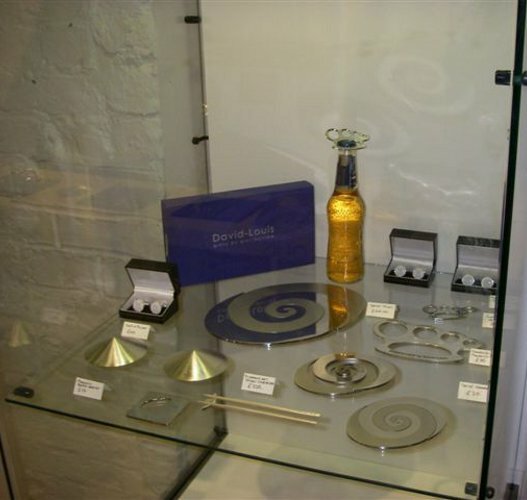 Currently at David-Louis and our sister business Gifts of Distinction we are experiencing a surge in interest in our sterling silver products. In particular are our sterling silver chop sticks, a product I have loved making and am delighted to see it is now in ascension. Based on this surge of interest in sterling silver we are in the process of building on our sterling silver product range. Watch this space for each product launch over the coming weeks. Each solid silver chop sticks is hallmarked with our Gifts of Distinction hallmark as is our exclusive chop stick holder that comes with each pair. I thought it worth emphasising that the chop sticks are 100 percent sterling silver, they are delicate and light enough to eat any meal with yet are 100% silver. You can view and order our sterling silver chop sticks on our David-Louis site. David-Louis – New Packaging Design. For 2009 we are launching our new range of David-Louis packaging. I will be up loading the whole range of packaging to the David-Louis website in the coming week so though I would give you a glimpse of it here on the blog first – tell us what you think. 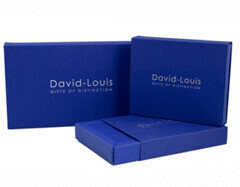 It is what we call ‘David-Louis’ blue and made from sustainable resources. Works like a match box, sliding open smoothly and elegantly to reveal a delicious coaster, bottle opener or salt shaker. As ever I am looking forward to launching these, we tested them over the last month in our shop ‘The David-Louis Project’ @ Artfull Expression and they went down fantastically. If you feel inclined please do post a comment.